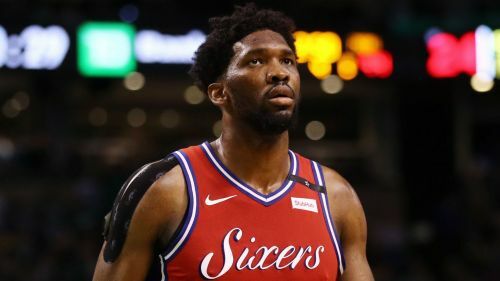 The Philadelphia 76ers will have to face the Detroit Pistons without star man Joel Embiid after coach Brett Brown elected to rest him. Brown told reporters that center Embiid will not play on Friday as he bids to overcome the "fatigue" that has hindered him in recent weeks. "If he could, he'd play 48 minutes,” Brown said. "And I feel that if there's any responsibility that we have as an organisation, it is to preserve our player's health. "It was clear to us and Joel that he was fatigued over the past few games, especially." Brown added that he made the decision to sit Embiid while keeping in mind the big picture. He wants to enter the playoffs with all of his players healthy. "How do you deliver them in a healthy, spirited fashion when it matters the most?" he said. "So the decision to sit Joel tonight is mine. It's always delivered with the purpose to try to help him." Brown also said he has not decided whether Mike Muscala or Amir Johnson would start in Embiid's place. The 24-year-old hasn't missed a game yet this season, but he had surgery in March to repair a fractured orbital bone in his left eye and missed several games during the playoffs. Embiid has averaged 26.3 points and 13.3 rebounds through 26 games.